Among thousand of chili recipes it’s tough to stand out in crowd. 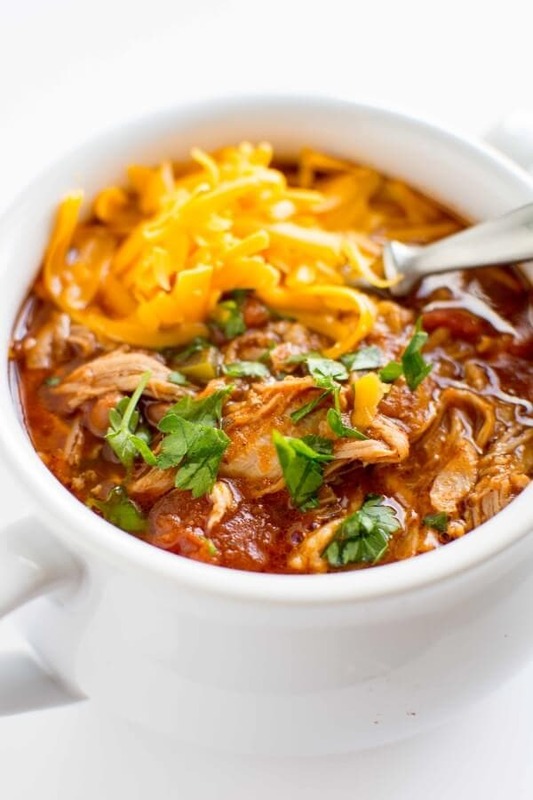 This Slow Cooker Spicy Chicken Chili with Beer Biscuits is unique enough to stand alone! I can not express to you enough the excitement I have over the fact that fall is coming. Don’t get me wrong, I’m not so much ready for cold weather or to hurry up winter, but what I am ready for is chili. 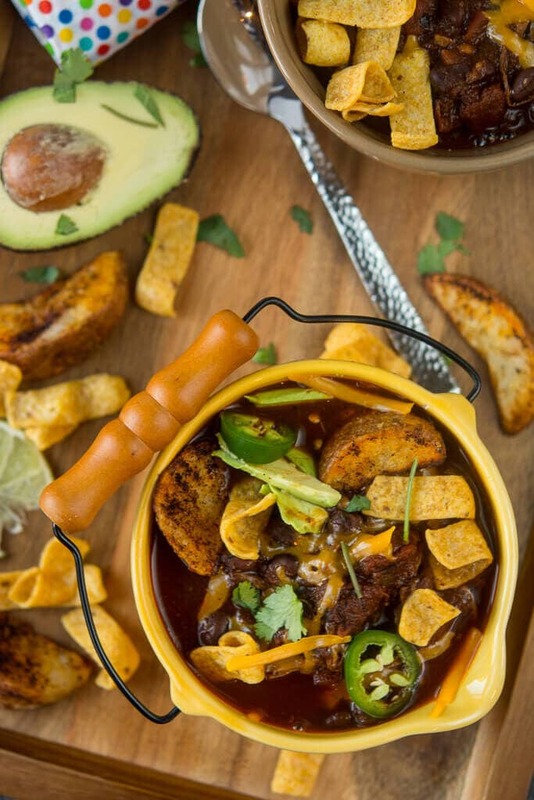 Bring on all my favorite chili recipes, please! But let’s not stop there. 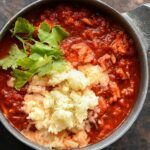 The world is limitless when it comes to different types of chili that can be made, so I’m going to kick off the season with a Spicy Chicken Chili! 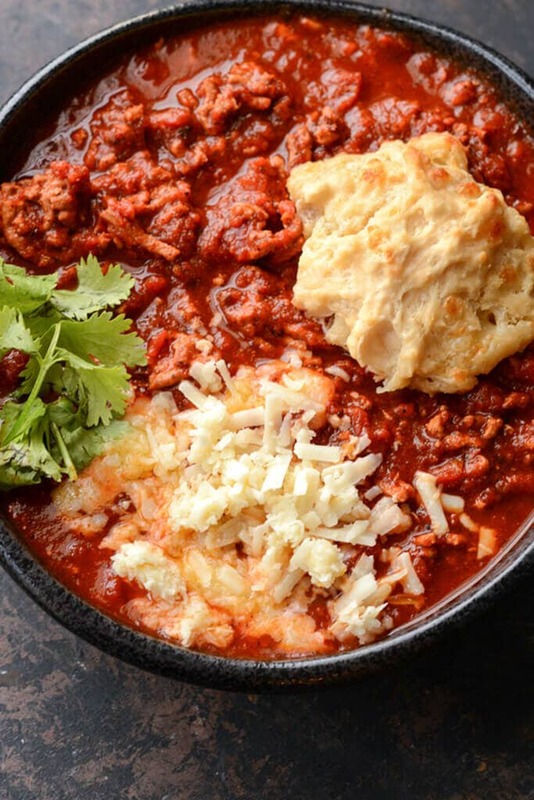 And now I’m going for the hard sell by telling you that not only do you get a chili recipe today, you are also getting a beer biscuit recipe as well! As a self-admitted chili-aholic, this is pretty exciting for me. 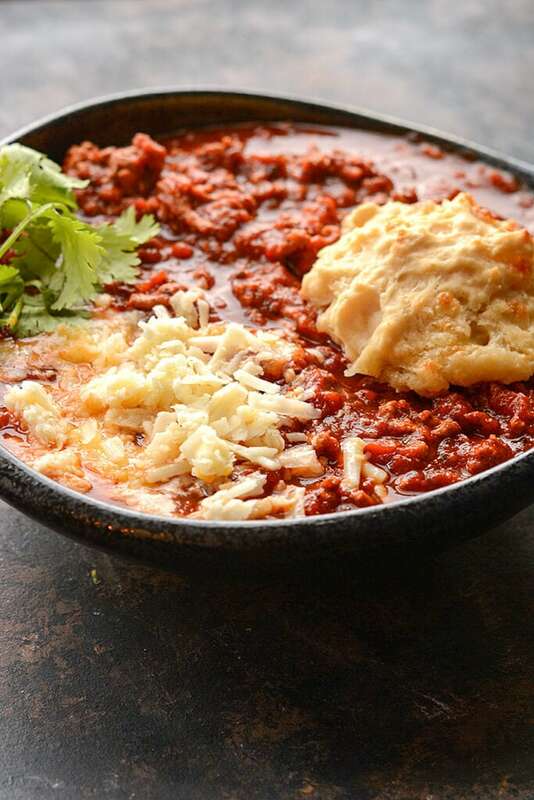 A customized biscuit just for this chili. The whole meal just comes together. Of course, we couldn’t possible leave out the generous topping of shredded cheese. If you don’t make a lot of biscuits there’s still no need to be intimidated. 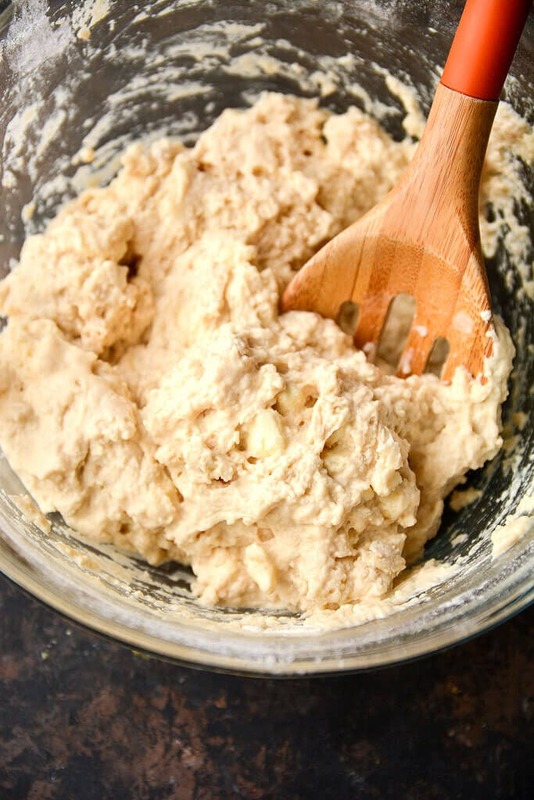 This is a simple drop biscuit dough that comes together in one bowl and take only a few minutes to prepare. Plus, it has beer in it, so how could you possibly go wrong?! 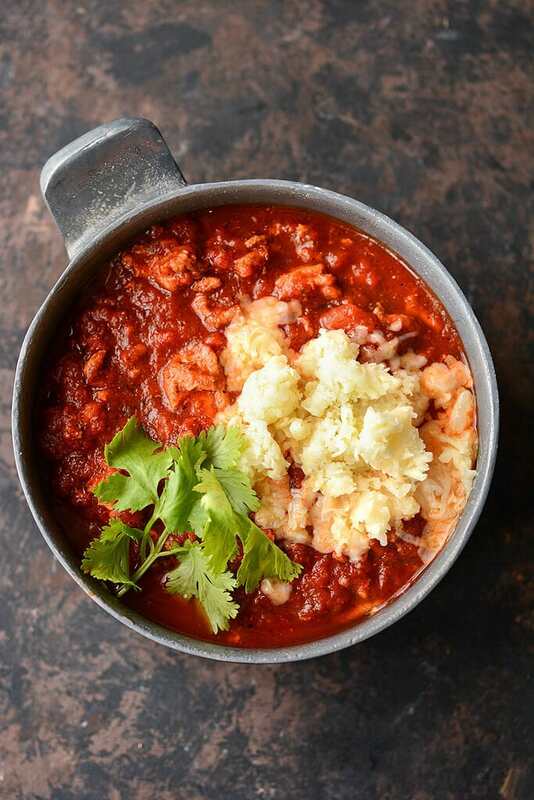 It’s definitely not to early to start working on your fall chili game. 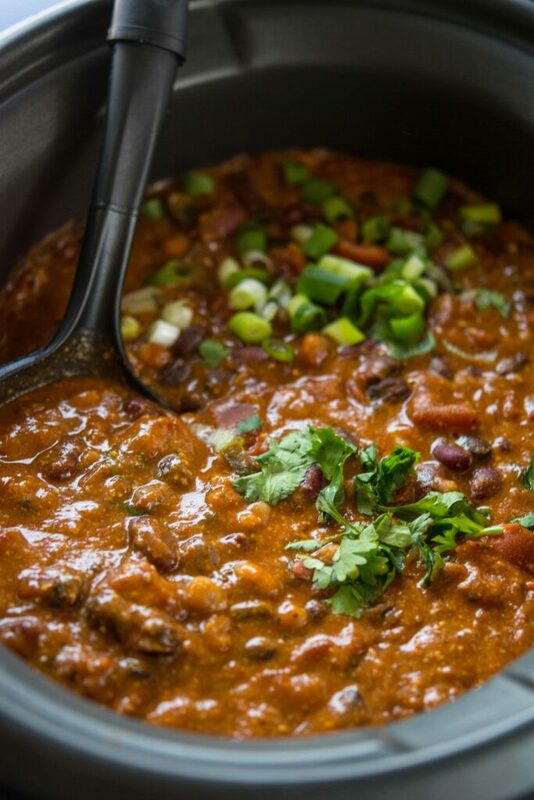 Whether you want a simple family dinner, and impressive tailgate feast for a crowd, or a meal you can keep all to yourself, this chili is sure to hit the spot! Among thousand of chili recipes it's tough to stand out in crowd. 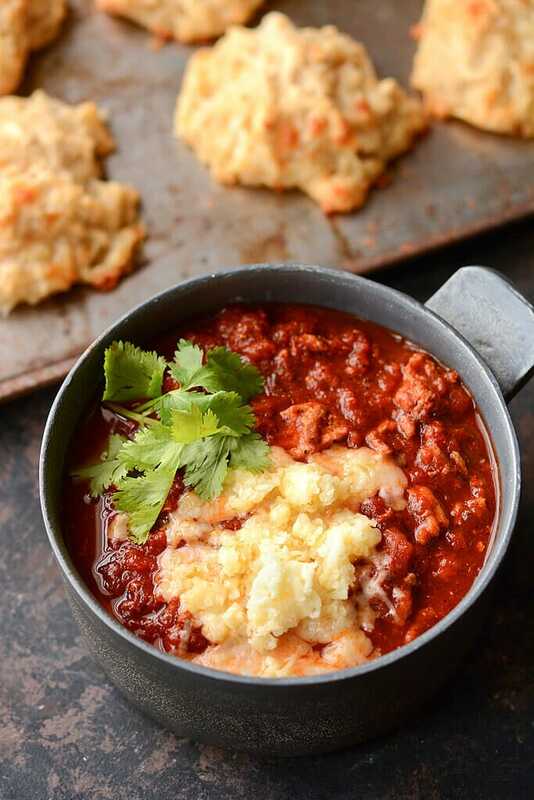 This Slow Cooker Spicy Chicken Chili with Beer Biscuits is unique enough to stand alone! 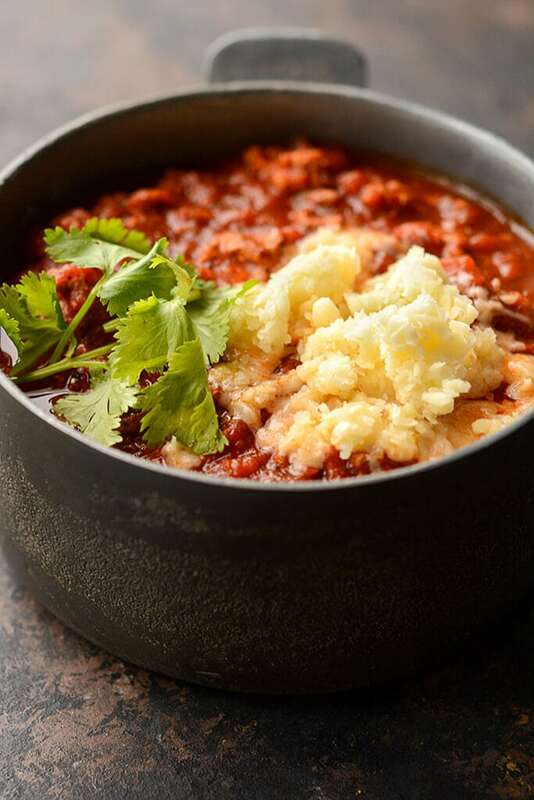 Ready to start simmering up some more chili recipes?